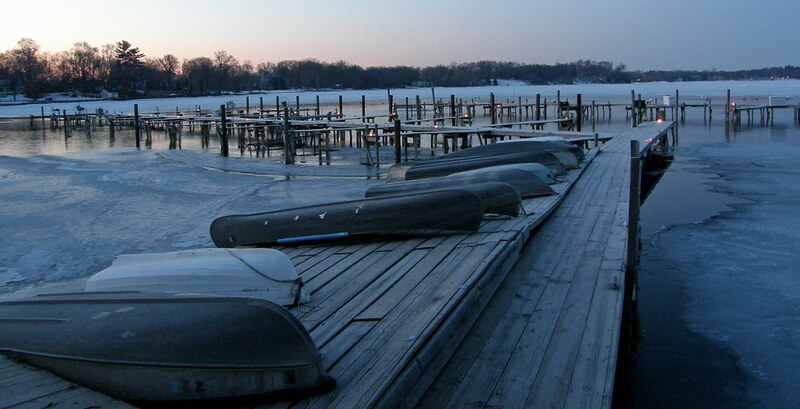 Wayzata Yacht Club. They have turned on the little dock lights to give us a sense of optimism. Temp: 18 degrees Fahrenheit.